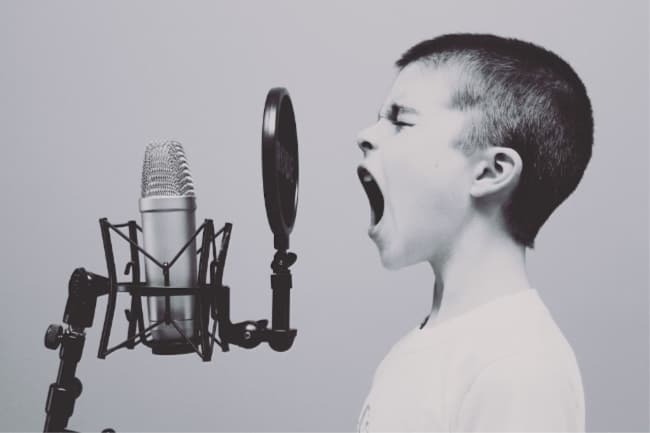 While the signs of Sensory Processing Disorder may not be easy to spot, it is important to understand how to help a child dealing with sensory processing. My friends Sharla and Heather (authors of Sensory Processing Explained) shared this list with me. I think you’re going to find it so useful. Being a kid with sensory needs can make even the simplest things like combing your hair or getting dressed feel challenging. For example, our son wouldn’t wear jeans for the longest time. He still prefers his Abercrombie Kids logo tape active joggers to jeans (or any other pants) because he loves the soft feeling of the joggers. It’s ok because we find what works & we stick with it. As a parent or caregiver, it can be hard to watch your child struggle with a sensory issue, but today we are going to offer strategies that help. 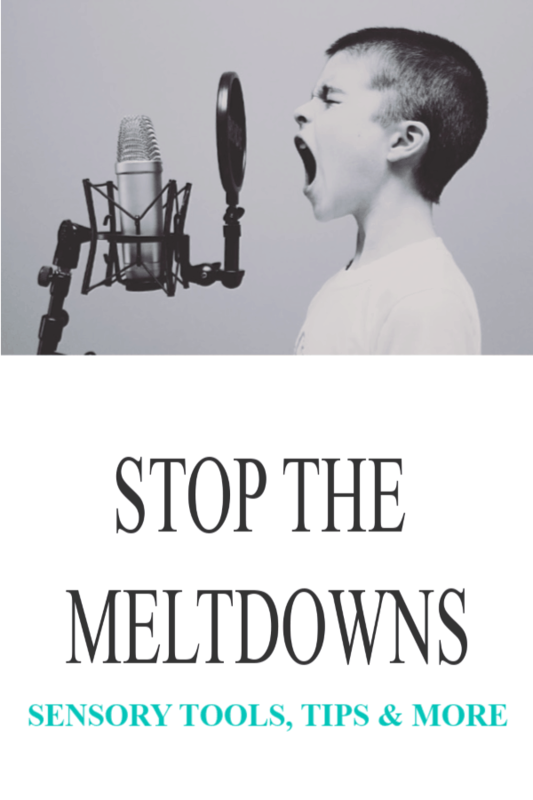 Using the strategies below, you can make life easier for your child and cut back on sensory meltdowns and day-to-day battles. Give warnings for upcoming transitions and allow for extra time so that your child can adjust. Offer sensory breaks throughout the day. This gives your child the necessary sensory input. They also make good transition bridges. Work on giving them an emotional vocabulary so that they can express their feelings. Meet your child’s sensory needs during the day with sensory activities and heavy work opportunities. This will not only help them all day long, but it will also help them sleep better at night. Don’t die on the clothing mountain. Let your child wear what’s comfortable for them. Be a sensory detective to discover why certain articles of clothing bother them. This will help you find solutions. Have your child use a vibrating toothbrush. Not only will this add more sensory input to their day, but it will also decrease oral sensitivity and eventually lead to fewer battles over food. As a therapist and affiliate, I’ve gone through the Sensory Essentials Collection. I love it! It’s a digital treasure trove of goodies to get you through those everyday sensory battles painlessly. As a fellow therapist, fellow mom, affiliate and fellow blogger, I am excited to share it with you. 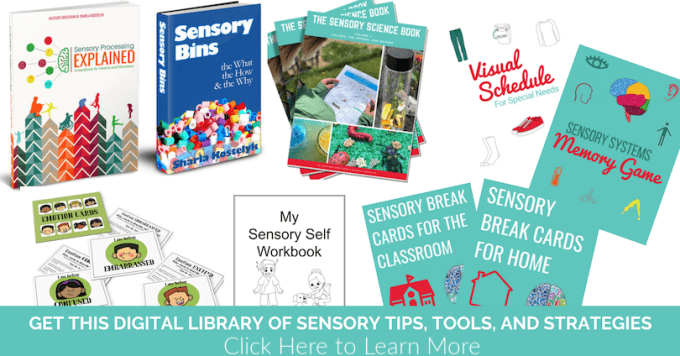 It includes things like a specialized visual schedule, sensory break cards, that sensory triggers log, activities just for kids to teach them about sensory processing and the sensory systems, emotion cards, and so much more. I hope these tips I’ve shared make tomorrow morning go a little more smoothly in your house!